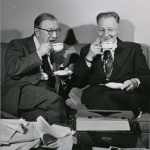 The twenty-eight-year writing, producing, and theatre-management partnership of Howard Lindsay and Russel Crouse was one of the longest collaborations of any in Broadway history. It was also one of the most brilliant, producing “books” for musicals by Rodgers and Hammerstein (The Sound of Music), Cole Porter (Anything Goes, Red, Hot and Blue), Irving Berlin (Call Me Madam, Mr. President), and others (Happy Hunting, Hooray for What!) as well as scripts for “straight” plays (Life with Father, State of the Union, The Great Sebastians, Tall Story). As producers, Lindsay and Crouse were responsible for The Hasty Heart, Detective Story, and Arsenic and Old Lace. In 1946 their play State of the Union took home the Pulitzer Prize, and in 1960 The Sound of Music won the Tony® for Best Musical. Born Herman Nelke, Howard Lindsay (b. Waterford, NY, 29 March 1889; d. New York, NY, 11 February 1968) graduated from Boston Latin School in 1907, spent a year at Harvard, and presumably changed his name before he joined the company of renowned actress Margaret Anglin in 1913 as an actor. Touring with Anglin, he would have gained a thorough background in the plays of the ancient Greeks, Shakespeare, Oscar Wilde, and Bernard Shaw. He made his Broadway debut under her direction in a play called Billeted on Christmas 1917. Lindsay served in the American Army infantry during World War I, after which he returned to Broadway as a stage director, making a positive impression in that capacity with a comedy, Dulcy (1921) by George S. Kaufman and Marc Connelly. He also did a turn in the play as an actor, sharing the stage with Lynn Fontanne and Elliott Nugent. In 1923 he acted in Sweet Nell of Old Drury with Fontanne, Alfred Lunt, and Laurette Taylor. His directing credentials were well established by the time his own first play, Tommy (1927), a collaboration with Bertrand Robinson, was produced on Broadway. At 232 performances it was a solid success, made into a movie, She’s My Weakness, in 1930, and revived briefly in 1933. Lindsay met and married actress Dorothy Stickney in 1927 (she played Liz in the original production of Chicago that year); theirs was to be a lifelong partnership (41 years), highlighted by many stage appearances together. He joined forces again with Robinson to write and direct two more comedies, Your Uncle Dudley (1929) and Oh, Promise Me (1930), both of which soon lit up the silver screen. Another directing triumph came in 1932 with his first real musical, Cole Porter’s Gay Divorce, at 248 performances. Russel Crouse (b. Findlay, OH, 20 February 1893; d. New York, NY, 3 April 1966), the son of a newspaperman, was a reporter for the Cincinnati Commercial Tribune at the age of seventeen. He served in the Navy during World War I, later worked for the Kansas City Star, traveled extensively as a sports reporter, and eventually found his way to New York. For some years he wrote a signed column for the New York Post, and actually made a Broadway debut as an actor in 1928. By 1931 he was writing for the stage, collaborating with Oscar Hammerstein II and Morrie Ryskind on the book of a short-lived revue, The Gang’s All Here (no relation to the 1943 film with Carmen Miranda). In 1932 he became head of the publicity department for the Theatre Guild and in 1933 joined with Corey Ford to write the book to his first Broadway success, the musical comedy Hold Your Horses. In 1934, Howard Lindsay, fresh from his greatest triumph yet, She Loves Me Not, was preparing another Cole Porter musical called Bon Voyage (book by Guy Bolton and P.G. Wodehouse), in which vacationers on a luxury liner in the Caribbean are shipwrecked on an island paradise. Just before rehearsals were to start, news came of the deadly burning of the cruise ship Morro Castle off the coast of New Jersey. One hundred thirty-seven people had died. It made the production of a shipwreck musical all but impossible. A mutual friend thought Russel Crouse would be able to mend the situation by revising the script, and introduced him to Lindsay. 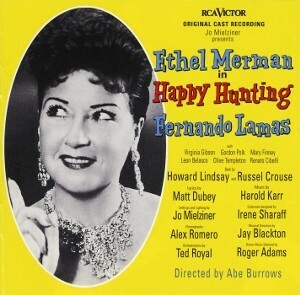 Thus Anything Goes was born, and the wacky passengers, Ethel Merman among them, safely delivered to London. And thus the perennial writing partnership of Lindsay and Crouse came into being; Crouse, for his part, never collaborated with another writer. Lindsay joined with Damon Runyon in 1935 to write and direct A Slight Case of Murder, Lindsay’s first essay into producing. Although it did not do well on Broadway, the play was twice made into a film, first in 1938 (with the magnificent Edward G. Robinson), and again in 1952 as Stop, You’re Killing Me. Lindsay and Crouse then wrote the librettos for two musicals in rapid succession: Cole Porter’s Red, Hot and Blue (1936), starring Jimmy Durante, Bob Hope, and Ethel Merman, and Hooray for What! (1937, with songs by Harold Arlen and E.Y. Harburg). Lindsay did the stage direction for both. The play that made them both wealthy as well as famous was their dramatization of stories from Clarence Day, Jr.’s Life with Father, which had its premiere in November 1939 and persisted for seven and a half years, until July 1947. At 3,224 performances it still holds the record for the longest-running non-musical play on Broadway. When first mounted, it starred Howard Lindsay as Father and Dorothy Stickney as his wife Vinnie. There was an immediate clamor from Hollywood for the film rights, but the writers, anticipating that the availability of a film would reduce the theatre audience, wisely withheld their consent until the Broadway run was over. When the film did appear, starring Irene Dunne, William Powell, Zasu Pitts, and a fifteen-year-old Elizabeth Taylor, it won a Golden Globe (for Max Steiner’s music), and pulled in four Oscar nominations. The play generated a Broadway sequel, Life with Mother (by Lindsay and Crouse, with Lindsay and Stickney in their original roles), which had a respectable run in 1948. Father was revived on television in 1953 and 1961. Lindsay and Crouse were now in a position to become theatrical producers, even to own and operate a theatre, the Hudson on 44th Street, for several years. Their first production was another smash hit, Arsenic and Old Lace (1941, written by Joseph Kesselring), which moved, in the midst of its 1,444-performance run, into their new venue. Among other notable plays presented there during Lindsay and Crouse’s tenure were John Van Druten’s The Voice of the Turtle (1943, the ninth longest-running play in Broadway history), John Patrick’s The Hasty Heart (1945), Detective Story (1949), and their own State of the Union (1945) which won them a Pulitzer Prize for Drama in 1946 and was made into a movie with Hepburn and Tracy a year later. 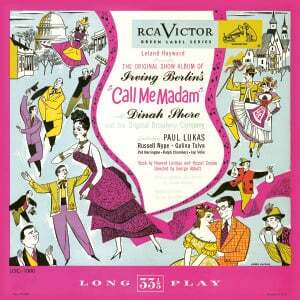 The writers’ next big triumph was Irving Berlin’s Call Me Madam (1950) with Ethel Merman and Russell Nype. Merman had been a good friend of Lindsay and Crouse ever since Anything Goes, and in 1949 her family and the Lindsays were vacationing together in Glenwood Springs, Colorado. Poolside, Lindsay was reading a magazine article about the newly appointed US ambassador to Luxembourg, Perle Mesta. He was immediately struck by the similar, and quintessentially American, personalities of Merman and Mesta and suggested to Merman, who never read newspapers, that she consider portraying the “hostess with the mostess” in a vehicle he would write. “Who’s Perle Mesta?” she asked dismissively. Undeterred, Lindsay and Crouse approached Irving Berlin, who was anxious to recoup his losses from Miss Liberty (1949), to write the songs, while they started on a book for Call Me Madam. Such was the reputation of Lindsay, Crouse, and Berlin that the advance box office sale for the Broadway production topped two million dollars. With the duet “You’re Just in Love,” one of the greatest show-stopping tunes the world has ever known – Berlin wrote it during previews in New Haven, and when Merman first heard it, she said, “We’ll never get off the stage” – the show ran for 644 performances and grossed more than four million. Lindsay briefly returned to performing in their play Remains To Be Seen (1951, 199 performances) and in a flop called One Bright Day (1952, 29 performances), and the team continued to produce and write plays (The Prescott Proposals 1953; The Great Sebastians 1956, for Lynn Fontanne and Alfred Lunt). Call Me Madam having closed in 1952, Lindsay and Crouse hoped to create another blockbuster musical on the same pattern, Happy Hunting (1956). It would star Ethel Merman, follow a plot based on current events (the wedding of Grace Kelly), and offer counterparts to its predecessor’s secondary characters in the lesser roles. Unfortunately their plan did not include Irving Berlin. The songs by Harold Karr and Matt Dubey were, in Merman’s estimation, weak; only “Mutual Admiration Society” made it to the pop charts. Time Magazine judged the show “more than just not out of the top drawer, it is from a discontinued line of furniture.” Still, Merman carried it to 412 performances. In 1957 Rodgers and Hammerstein wrote their first and only musical for television, Cinderella, broadcast live on CBS March 31. Howard Lindsay and Dorothy Stickney performed together again as the King and the Queen, to Julie Andrews’s Cinderella, Kaye Ballard and Alice Ghostley’s Stepsisters, Ilka Chase’s Stepmother, and Edith Adams’s Fairy Godmother. This was one of the rare Lindsay performances ever to be captured on film. The more astonishing is that this scintillating, elaborate production was performed live, uncut, and but once, to an audience of 120 million viewers. In 1959 Lindsay and Crouse adapted Howard Nemerov’s The Homecoming Game for Broadway as Tall Story. Neither the Broadway production nor the 1960 movie with Anthony Perkins, Jane Fonda, and Ray Walston did very well. 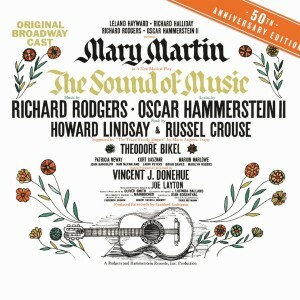 Later in the year, however, they hit the bullseye again with the book to The Sound of Music, starring Mary Martin, Theodore Bikel, and Patricia Neway, and boasting a captivating Rodgers and Hammerstein score. The show ran for 1,443 performances, from late 1959 to the summer of 1963, and became a smash hit movie in 1965, starring Julie Andrews. 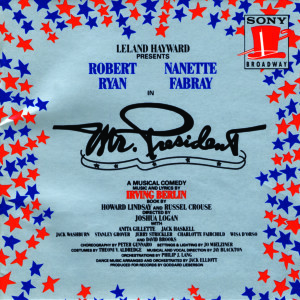 The last collaboration of Lindsay and Crouse was again with Irving Berlin on the musical Mr. President (1962). Starring Nanette Fabray, Robert Ryan, and Anita Gillette, it contrasted the world of politics, with its intrigues and colorful parties, as had State of the Union, Call Me Madam, and Happy Hunting, against domestic life – its comforts, foibles, and heartaches. The show was moderately successful at 265 performances, but never made it to the silver screen.